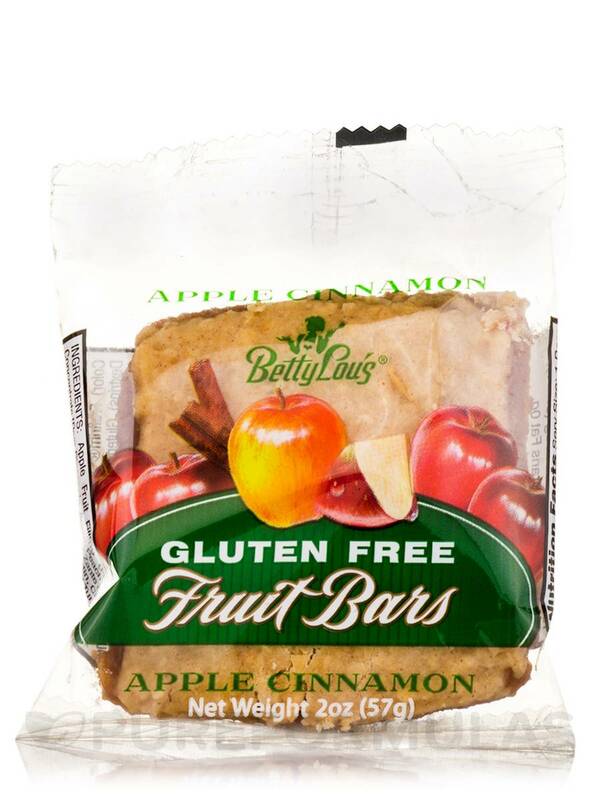 These Apple Cinnamon Fruit Bar by Betty Lou's bars are really great. 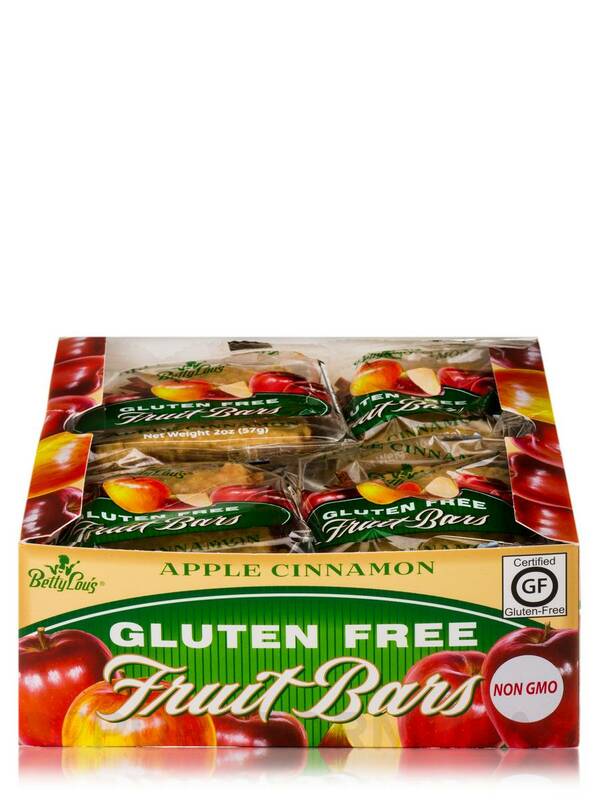 Gluten free and no sacrifice of taste as so often happens. I always have one with me as I'm always on the go. 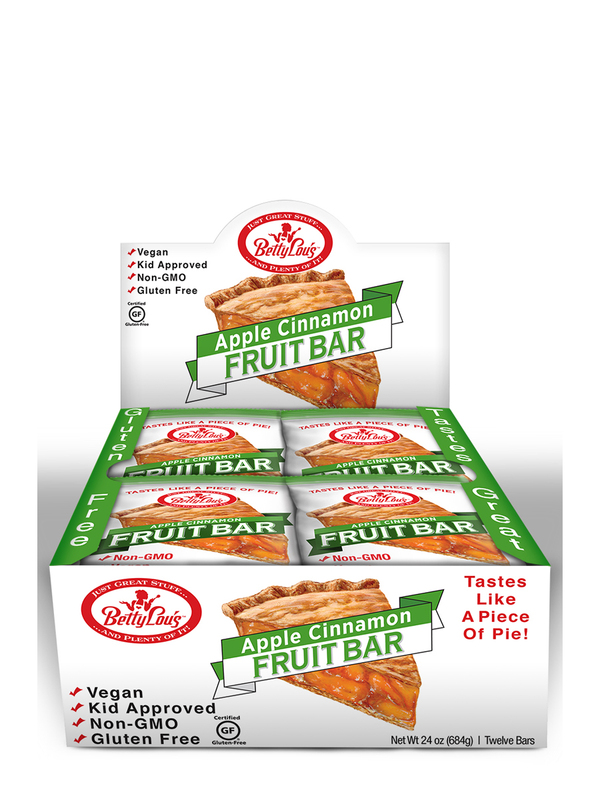 Apple Cinnamon Fruit Bar by Betty Lou's are excellent gluten-free bars with a fresh apple pie flavor. They are just what I wanted! And they came quickly and in wonderful condition. 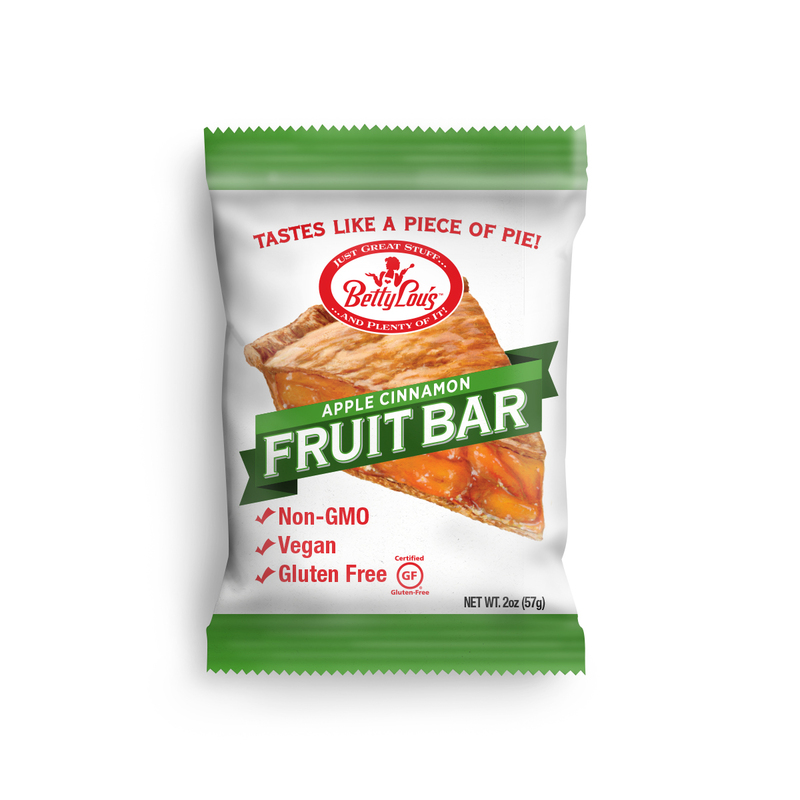 A delicious gluten-free all-natural snack with the taste of homemade baked cobbler! 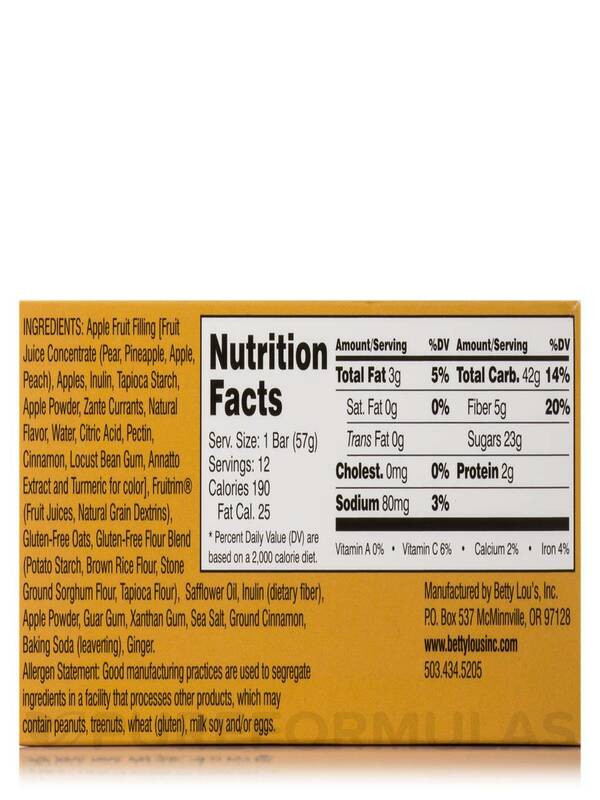 All sugars come from natural fruit and fruit juice. Both kids and adults will love them! 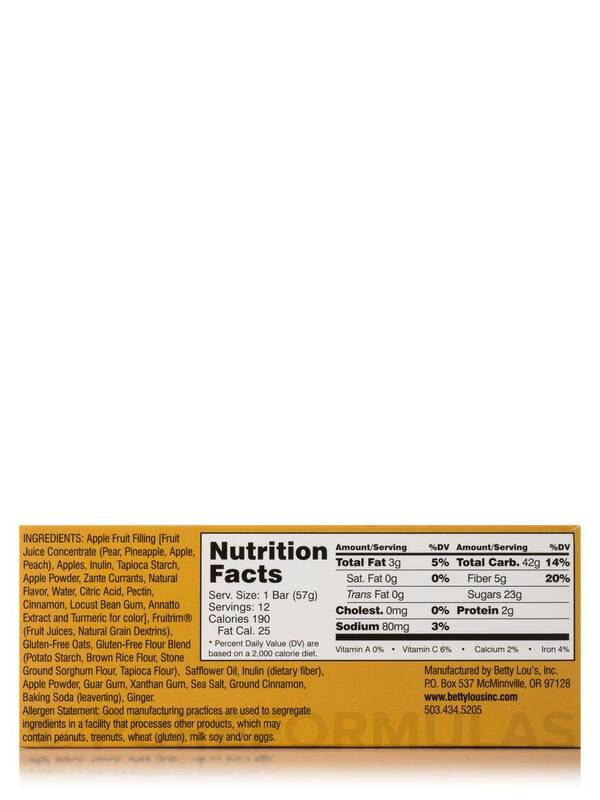 Ingredients: Apple fruit filling [fruit juice concentrate (pear‚ pineapple‚ apple‚ peach)‚ apples‚ inulin‚ tapioca starch‚ apple powder‚ zante currants‚ natural flavor‚ water‚ citric acid‚ pectin‚ cinnamon‚ locust bean gum‚ annatto extract and turmeric for color]‚ fruitrim® (fruit juices‚ natural grain dextrins)‚ gluten-free oats‚ gluten-free flour blend (potato starch‚ brown rice flour‚ stone ground sorghum flour‚ tapioca flour)‚ safflower oil‚ inulin (dietary fiber)‚ apple powder‚ guar gum‚ xanthan gum‚ sea salt‚ ground cinnamon‚ baking soda (leavening)‚ ginger. 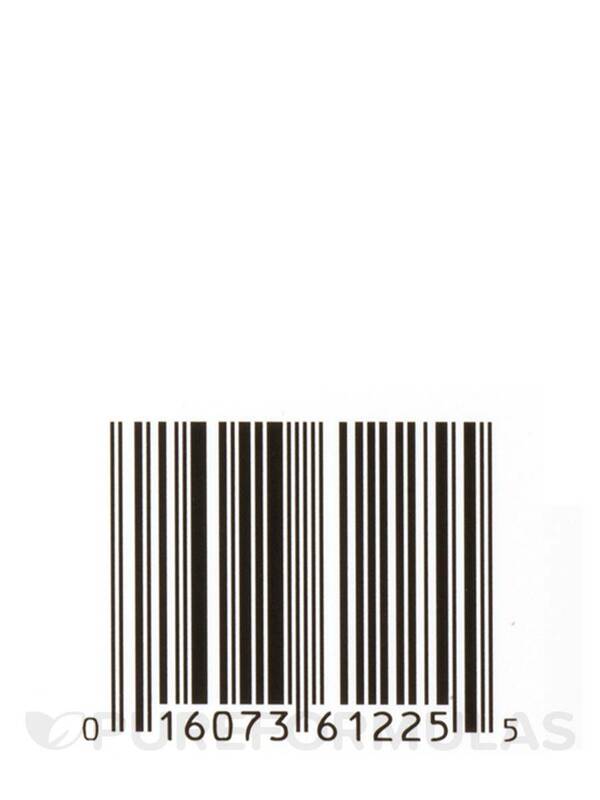 Good manufacturing practices are used to segregate ingredients in a facility that processes other products‚ which may contain peanuts‚ tree nuts‚ wheat (gluten)‚ milk soy and/or eggs. 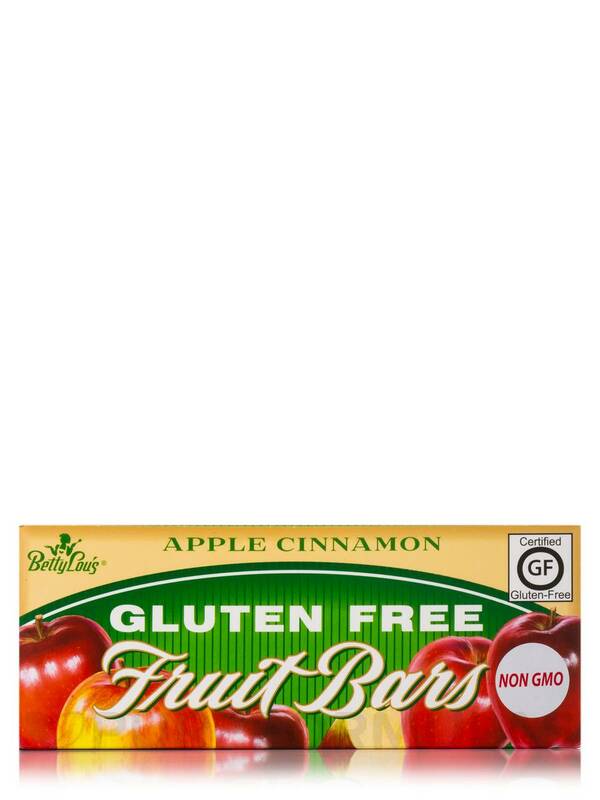 Allergen Caution: Good manufacturing practices are used to segregate ingredients in a facility that processes other products‚ which may contain peanuts‚ tree nuts‚ wheat (gluten)‚ milk soy and/or eggs. 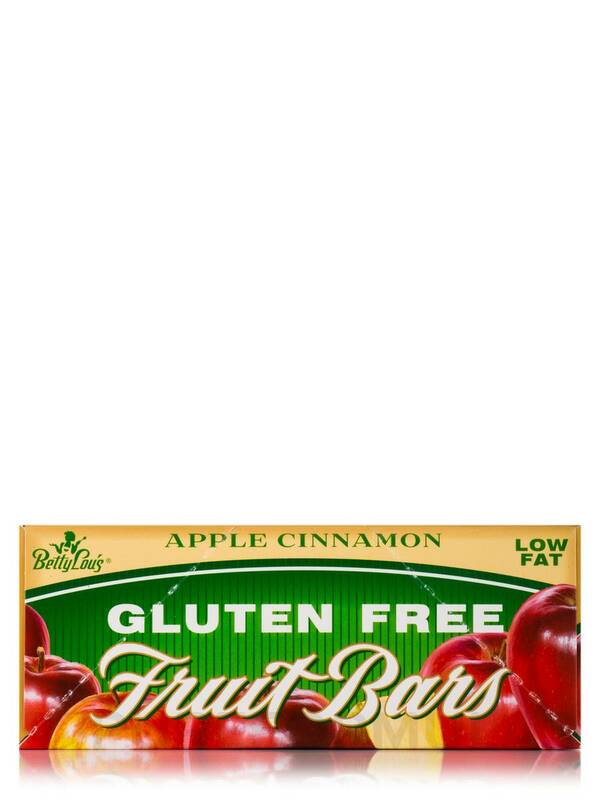 Apple Cinnamon Fruit Bar by Betty Lou's are some of the better GF bars I have had.